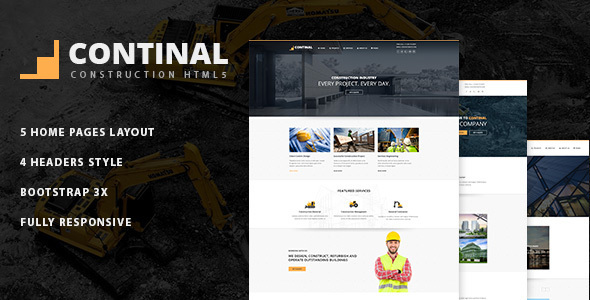 Continal is a modern template designed for building & construction companies. But it can also be used for any type of businesses. The flexibility and powerful options allow you to customize the theme for your exact needs. Continal is built with the latest web technologies (Bootstrap framework, icon font, etc.) with the care of coding quality to make sure the theme works with all browsers and all devices.